Where is Beauty World located? We are located at 4 Tennyson Road, 5 Cross Roads. Yes. Treat a loved one to any of our treatments with a Beauty World gift voucher. Choose either a treatment or monetary amount. Can I pay for treatments over the phone? Yes, but only with your credit card. How can I ensure a wonderful Beauty World experience? Tell us what you want! We want to make you feel special and look wonderful. By telling us exactly what you want and need we can deliver a 5 star service every time. Does a facial peel get rid of wrinkles? A face peel will temporarily diminish fine lines on the face but is not a permanent cure for wrinkles. A face peel leaves the skin feeling fresh and looking more refined. You can expect it to last 7-10 days. You will get your best wear out of it in the first few days and then it will start to fade. By using tan extender it will help make the tan last. We suggest you arrive at least 15 minutes prior to your reserved time. Please understand that your treatment will end on time, so the next person will not be inconvenienced. Wear whatever is comfortable, we will provide a robe for specific treatments. For a spray tan wear loose, dark clothing. Can all the packages be changed to suit me? Yes. 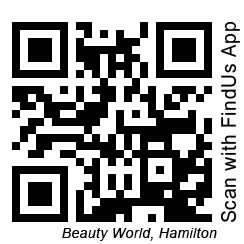 All of Beauty World's packages can be tailored to meet your needs and time frame. Yes. We advise booking 2-3 weeks in advance to secure your preferred appointment time, especially on late nights, early mornings and weekends. Yes. Please give us 24 hours notice. Cancellations after this time may incur a charge. Credit card details and 48 hours notice are required for group or large bookings. Can I book a treatment through email? We recommend that you book 2-3 weeks in advance for all treatments that will take longer than 2 hours. For all other treatments 1-2 days should be sufficient booking time. Yes we do, we have a large premises which makes it easy. How do I look after my Tan? Tap yourself dry and moisturise. The Beauty World Online Shop delivers beauty products all over New Zealand and Overseas. Rural delivery does attract a small additional charge.